Possible mechanisms by which PGBD5 and RAG1/2 induce genomic rearrangements. 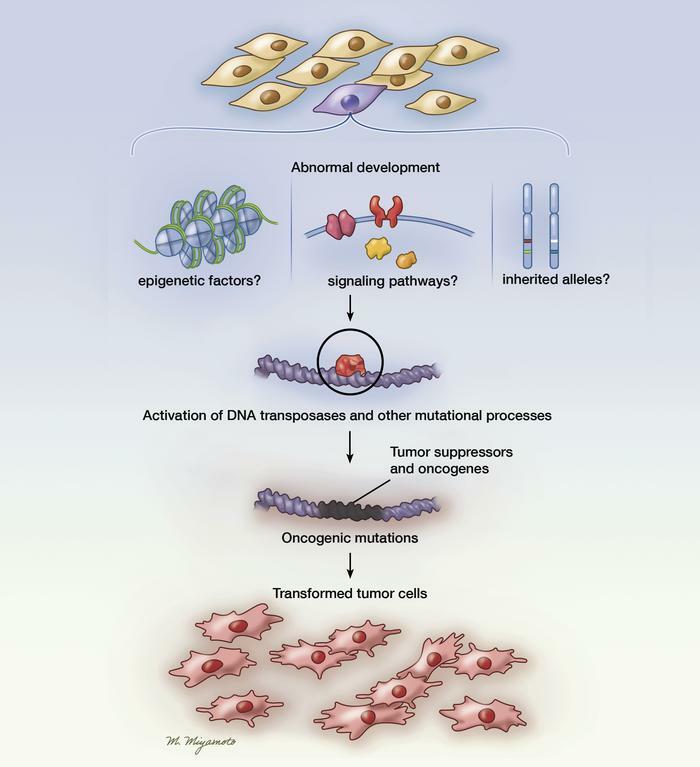 PGBD5 and RAG1/2 are DNA transposases that can promote oncogenic genomic rearrangements. RAG1/2 binds to RSSs, and PGBD5 binds to PSSs and through cleavage induces a variety of possible changes, such as small insertion or deletion polymorphisms at the site of a double-strand break (DSB) repair, large insertions and deletions, inversions, and translocations. Illustrated by Mao Miyamoto.